In a complete set of LOOK collocation, any little detail must not be ignored, because any small details will influence the result of collocation, as small as the color of the fingernails can not be underestimated. The collocation in details can enhance the whole look feeling, it is also a feflection of a person’s whole taste. While a perfect accessory is enough to give the plain shape a striking focus, and the eye-catching effect of custom silicone wristbands is naturally no need to talk about more, they can be matched with casual, intellectual, trendy, traditional styles and so on, whether worn alone or in multipe groups, they can show a different feature and effect. So, how to wear various styles of silicone wristbands to create different visual effects? This is also a subject that worth discussing and studying. Now, we summarize a few unique and interesting ways of wearing according to different features of wristbands to perfect your dress. 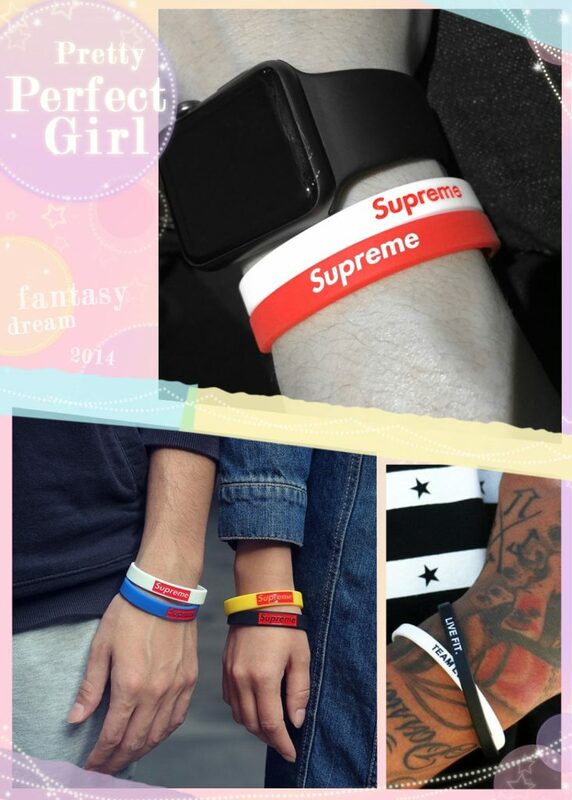 Custom silicone wristbands come in many sizes and various colors, and no matter what kind of style is, all of them are suitable for wearing alone, which is the most traditional and error-free way to wear, and also look casual , simple and full of vitality. 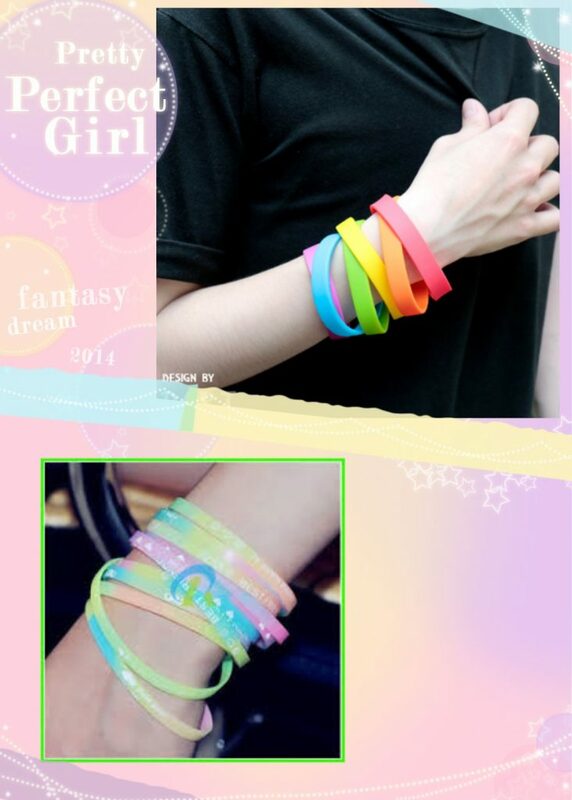 It is not difficult to understand that such kind of simply wristbands are narrow in width, thin and cute. It will be simple, elegant and delicate when wear them, especially for girls, but also for those who don’t want to exaggerate. 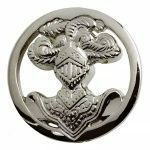 Traditional wristbands are usually around 0.5 inch in width that belong to a design which is not wide and narrow, and they are simple and generous to wear. Generally,a variety of large-scale events, exhibitions and other formal occasions are trend to choose this kind of awesome wristbands with regular width, which appears to be stable and generous. Figured wristbands are unique, except for messages printed, debossed or embossed, they also contain a figure, such as a circle, a cartoon shape etc. Such kind of wristbands give people a lively and lovely feeling, and it will be more prominent when worn alone. The wide wristbands look cool and dynamic, give people the feeling of being full of energy, often can be seen in concerts, music festivals, matches, etc. These wide wristbands are more suitable for wearing alone, can highlight the unique personality of the wearer. For this kind of wristband, redundant decoration appears onerous and verbose. Except the mentioned above, you can also wear wristband more creative with friends, lovers and so on, one person wears a unique silicone wristbands alone to express different meaning, stylish and personalized. In addition to wearing them alone, we also can wear them with a group of two, which requires a reasonable match of color and size. Otherwise, it will not only fail to achieve the desired effect, but also give people a strange feeling. 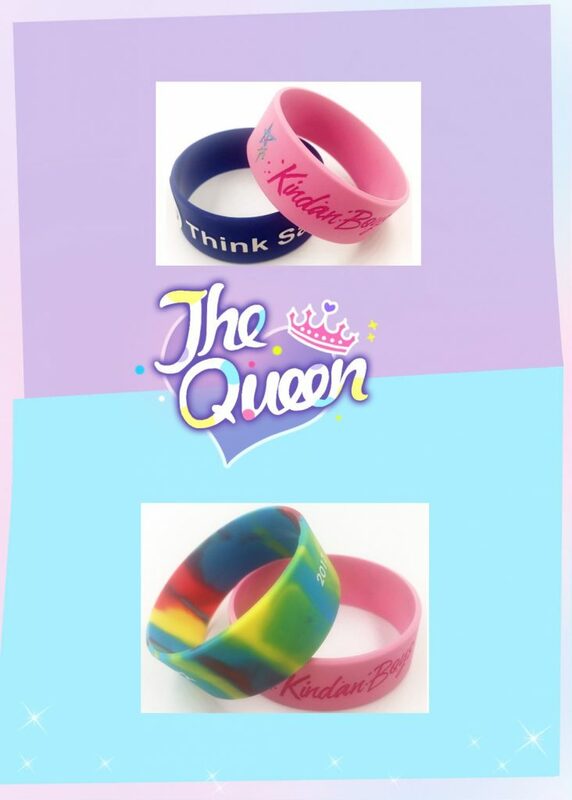 First, we must choose the suitable color to match, then choose the silicone wristbands with different width or the same width to wear, the collocation effect must be coordinated and harmonious. Here means more than two simply wristbands are worn at the same time, which requires the various sizes and colors wristbands to match well. Usually thin wristbands, regular wristbands, or understated wristbands can be matched with multiple pieces. If you feel that wearing one wristband alone or two can’t achieve the effect as you expected, then you can try to wear more than two wristbands at the same time, of course, the quantity should be controlled well, and do not blindly pursue more, and resulting in matching effect unsatisfactory. 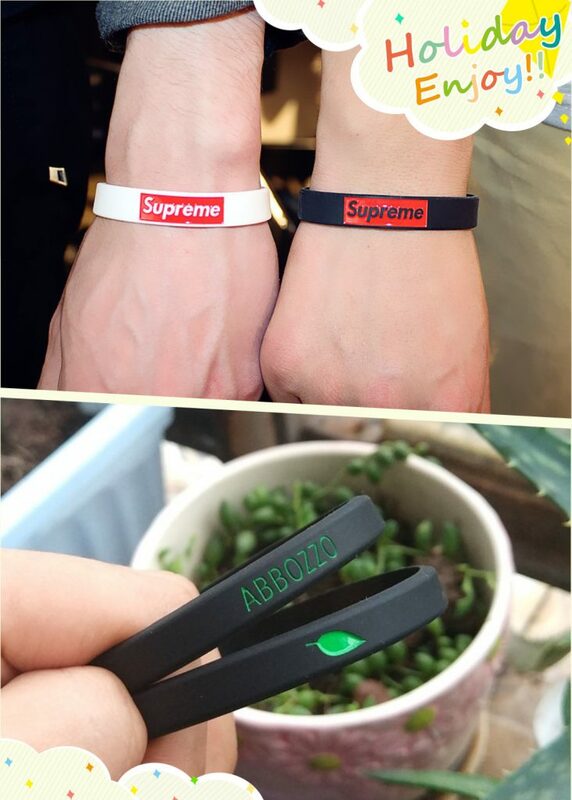 It is easier to match each other with thin wristbands and regular width wristbands, usually the effect will be very nice with a few regular wristbands plus a few thin wristbands together, such look will be fashionable and trendy; Moreover, colorful colors and various widths will be worn with a well-arranged feeling. 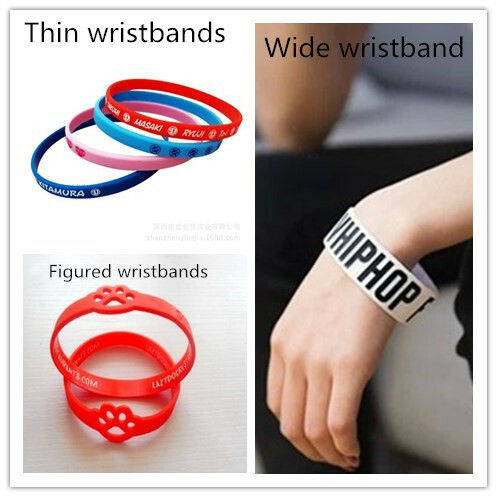 But for the awesome wristbands with exaggerated width, it is already very attractive to wear one only.If you want to wear more than one, you can choose the thin wristbands and the traditional wristbands to match the wide one. When matched, the wide wristbands should be the main part, then choose suitable wristbands with right color and style to match it, need to make the match look perfect, do not conflict. Of course, anything will be get rid of the stale and bring forth the fresh, so silicone wristbands also will be worn in a new way. Do you like the match ways above? Also welcome wristbands enthusiasts have more suggestions, let us wear silicone wrisbtnads out of different trends and fashion. 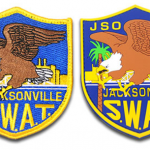 If you need to customize specail and unique silicone wristbands, GSJJ has a professional production team that can provide you with the best service.